SEOUL, Korea, Mar. 13 (Korea Bizwire) –World-markets.biz (WMKTS) recently won support from the Seoul Metropolitan Government (SMG) through the Seoul Business Agency (SBA). The support comes in the form of office space which was allocated at the Yeouido Global Business Center (YGBC) in the One IFC Tower in Yeouido, Seoul. Along with physical office space there are numerous opportunities for 1-1 business consulting and a variety of business related workshops so that foreign companies can assimilate to the Korean market and its tax and legislation more seamlessly. The incubation office program is gaining popularity and it really shows how serious the Seoul metropolitan Government is about increasing foreign business presence in Seoul. Yeouido is globally known as Seoul’s main business and investment banking district and the IFC Mall and three associated IFC Towers make up the International Finance Center (IFC) complex. WMKTS believes that the opportunity to be located in Yeouido is a positive step in their plan to develop their services in Korea and the wider continent of Asia. 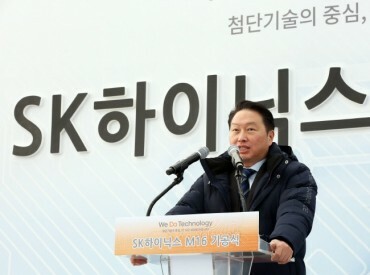 WMKTS will now move into the next phase of its 2014 strategic plan and begin creating partnerships with SME agencies throughout Korea. The goal of these partnerships is to support Korean SME’s to highlight their products and services globally. The knock on effect and benefit for Korea as a whole is of course the increased global recognition of the quality and innovation of Korean manufactured products and the professionalism of services offered by Korean companies. Step aside big boys Samsung, LG, Hyundai and Daewoo, the Korean SME’s are going global. WMKTS will make sure of it. In fact, Korean SMEs play a pivotal role in the national economy, accounting for 99.9% of all enterprises (3 million SMEs), 87.7% of all employees (10.8 million employees), and 47.6% of production. These are truly staggering statistics from the Small & Medium Business Corporation (SBC). An SME in any economy inherently struggles against the established larger companies. The situation is the same for Korean SME’s. An SME budget, if any, for marketing is very limited and that is where WMKTS can offer very fast, effective and inexpensive online marketing for Korean SME’s. Basically, WMKTS gets a company organically listed on Google Page 1 using its cutting edge unique non-invasive SEO technology. This is done with very general long tail search terms through a hosted micro-page and a series of latest news article postings. Getting on Google Page 1 is the ultimate location for any company. Getting there by using your company name is easy. But the recent “Hummingbird” research and update by Google showed that internet users search in long statements or full questions on what they are looking for. The content of the search term is the service or product they want to know about or purchase. These focused content search terms are what WMKTS SEO onto the micro-pages and news articles. Therefore, subscribing to WMKTS and creating long tail search terms related to your products and services is very effective for being found. 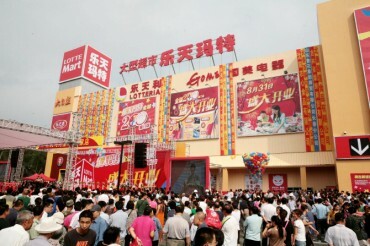 WMKTS will help Korean SME’s get noticed globally online. To apply for the Incubation Office Program at the Yeouido Global Business Center (YGBC) simply visit the YGBC website and click on Incubation Office then Office Information or Apply for the Office. Alternatively you can contact the office directly as outlined below.